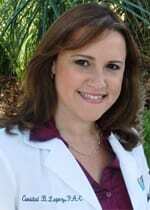 Kathleen W. Judge, MD grew up in New Orleans, Louisiana as one of five siblings. She met her husband in high school and married when she was eighteen. She had two beautiful boys, Shane and Ryan, shortly after. When the boys were getting older she decided that it was time to go back to work and do some good. She had always wanted to be a doctor but did not think it was possible at that point in her life. After trying her hand at several other careers, Dr. Judge and Mr. Judge agreed that the family would work together to achieve her singular goal of becoming a practicing physician. 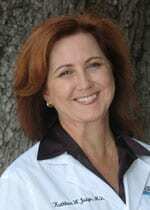 After years of hard work and sacrifice, Dr. Judge’s dream came true when she opened her own private practice in 2000. Her family could not be prouder. At our office, PA’s undergo extensive training with Doctor Judge and shadow her for several months in her work as a dermatologist, seeing and following up with hundreds of patients. The only procedure that the PA’s do not perform at our Orlando office is surgery. We are able to provide you with a more efficient surgery schedule by having a dedicated provider for surgeries. PAs are trained in accredited programs which incorporate intensive classroom training and clinical rotations in a variety of medical and surgical specialties. Graduates of accredited PA training programs must pass a national certification examination in order to practice. Supervising physicians and state law determine the scope of a PA’s direction. Caridad “Cari” Lopez arrived in Miami as an eleven year old when her family moved from Cuba to pursue a better life. She excelled as a student and received a full scholarship to the University of Florida. In her senior year, Cari received news that would change her life. She was diagnosed with a very aggressive form of breast cancer. During her treatment she focused on school and graduated with a dual degree in Entomology/Nematology and Microbiology. Cari has used her experience to offer support to others and to raise awareness. Every cloud has a silver lining and Cari met her husband, Michael, who was her tech at the hospital where she received treatment. They have two dogs, Tyson and Daisy. Trivia: Cari can’t swim, loves chocolate, and grows orchids.